Summer is here and along with it are those dreaded summer allergies. Approximately 50 million Americans suffer from allergies which means a lot of wheezing, sneezing, runny noses, and more. Summer air pollutants can make symptoms even worse. Dr Oz revealed natural remedies that can help get your summer allergies under control. Dr Tania Elliot is an allergist who sees firsthand how frustrating allergies can be. She first explained that both allergies and a summer cold stimulate the release of histamine, which is the chemical responsible for the congestion, wheezing, and itchiness. There are three ways to distinguish between the two. 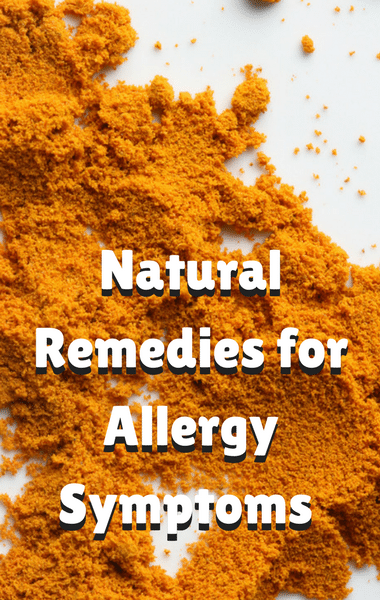 First, allergies aren’t accompanied by a fever or body aches. If you have a fever or swollen lymph nodes, that’s a cold. Secondly, the duration of your symptoms. Colds will last 5-7 days, while allergies with last weeks or months. Third is seasonality. If you find that you get the same symptoms around the same time of year, it’s likely allergies.